The Key To Business Growth? Boring, Critical Tactics. There are few bigger fans of strategy than me. Truth be told, personally, great ideas and thoughts capture and keep my attention far more easily than great tactics and execution. But, here's what I've learned (and, yes, I understand that this is not news), tactics matter. 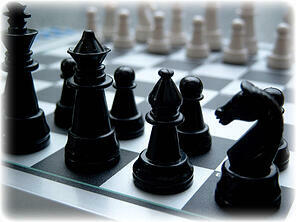 Strategy defines your game and puts you into a position to win. Tactics, or more precisely, properly executed tactics are what actually win the game. In my experience, I've learned that growing companies (especially those that get excited about transformative opportunities) love strategic conversations. What isn't there to love? Strategic planning is filled with unlimited possibilities, dreams, and brainstorms. Little to no action is required. Too often, strategic conversations provide no constraints, no trade-offs. You can plan for the gains, without experiencing the pain. But then the time comes when you actually have to do. The doing is never as easy as the planning (especially the dreaming). As you and your company are thrust into new situations and the trade-offs becomes apparent, life becomes filled with complexity. Inevitably, you hit the point where instead of every idea being filled with potential, every action is fraught with difficulty. As the insightful saying goes, "Everything looks like failure in the middle." What happened to the excitement? Thoughts drift. Clearly, there must be something wrong with the strategy. Besides, virtually every "thought leader" has posted about how strategy drives everything (yes, I include myself in this). So, clearly, because results aren't coming "effortlessly", executives become convinced that the strategy needs to be re-worked. This decision is rewarded with great psychic joy as the possibilities flow back and excitement returns. Unfortunately, no progress is made and the business gets or remains stuck. What's the moral of this story? Sure, tactics can be boring and difficult. But, they are critical to your success. So, the next time you read a blogger like me singing the (deserved) praise of strategy, remember what we really mean is that when great strategy meets great tactics and execution - great things happen.